Every great RPG has its tavern: where heroes meet, rumours are told, quests are undertaken, and beer is supped by the gallon… but could you manage such a place? 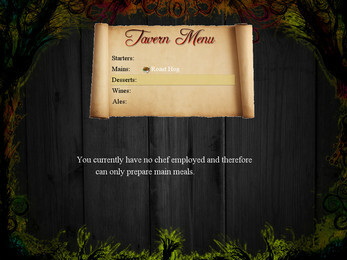 Jump into the role of a fantasy-world tavern keeper: where you will need to renovate an ailing tavern, chat to hundreds of unique guests, manage a stables full of magical creatures, oversee the battle pit, hire heroes or villains to help hunt down magical tavern items like the Mythril Spork of Fortune, and try to keep the drunken guests from trashing the place. 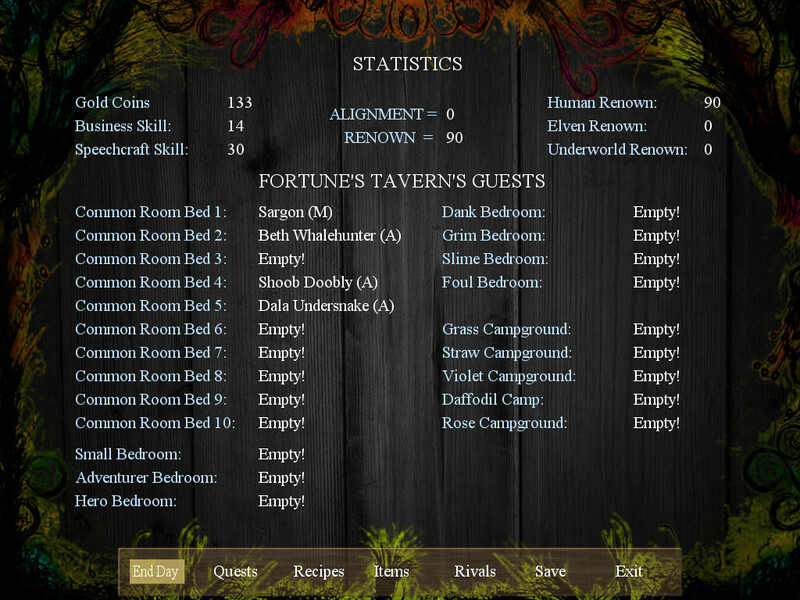 Even at the best of times running such a tavern is not an easy task, but these are not the best of times. War is brewing! To the east the undead minions of the Lich Lord are stirring in response to the trade blockades imposed by the Northern Elves, and violence is spilling over into every part of the three kingdoms. Take part in a story that will lead you to the palaces of the great and the powerful. 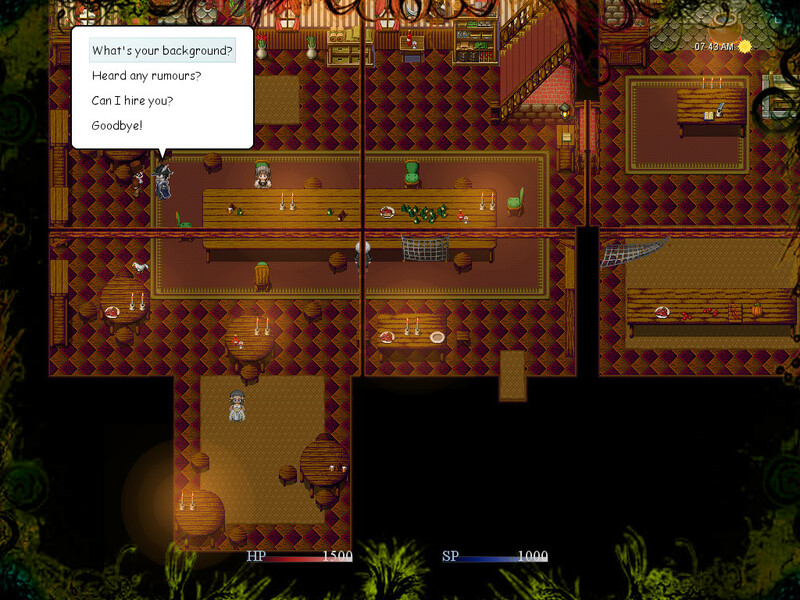 Is it possible that a humble tavern keeper can save the world from itself? Perhaps even gain his tavern the royal seal of approval? More likely, like his predecessors, he will be driven into madness, poverty, or an early grave! 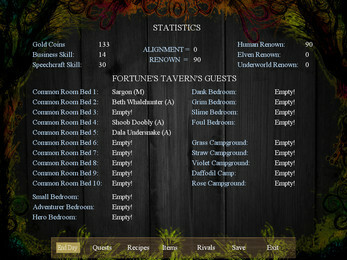 Renovate and manage a dilapidated tavern. And stables in which to house your pets. 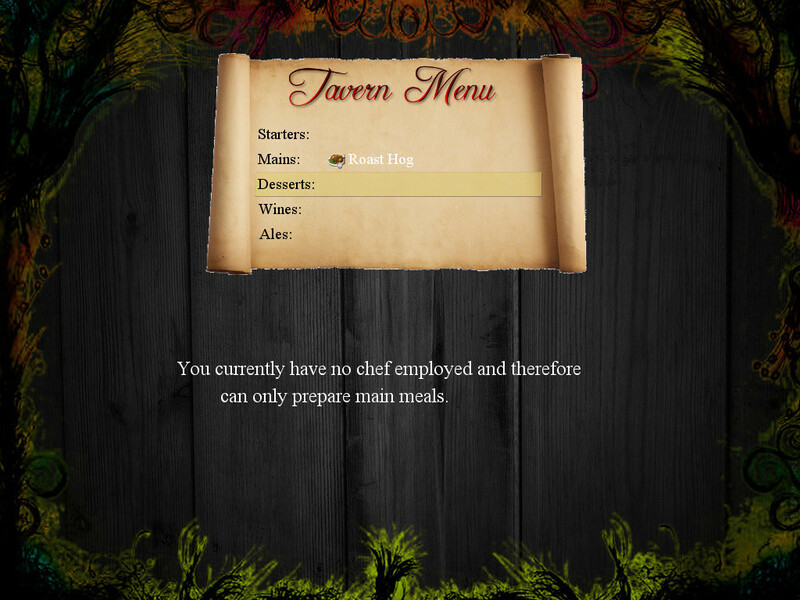 Hire cooks, rogues, battle-pit managers, priests, blacksmiths, and heroes. Create a custom menu by collecting recipes. Compete with and buy out rival taverns. 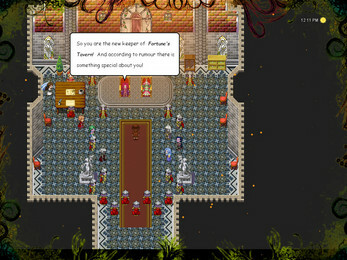 Interact with hundreds of unique guests, each with their own backstory. 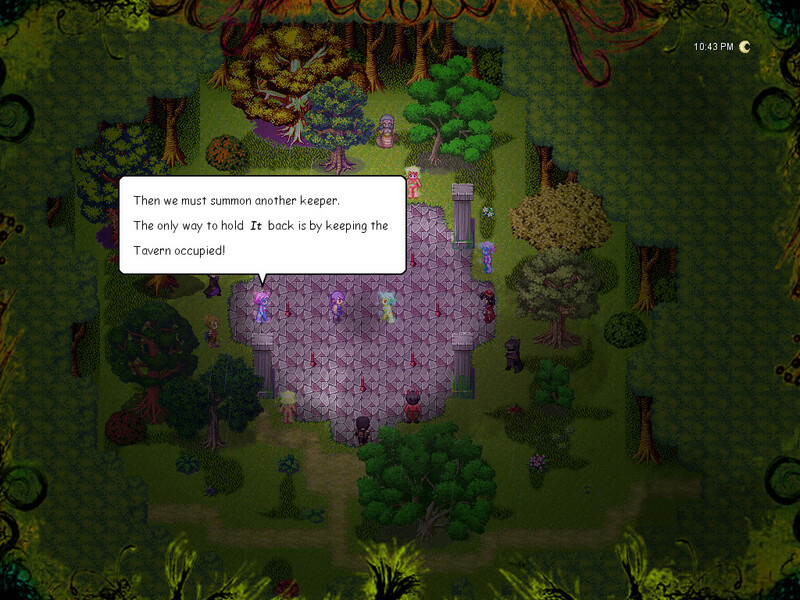 Seek out rumours from guests, and hire heroes to accompany you on quests. A real-time, action, battle system creates exciting gameplay. Infinite quests allow for extended game time. And hunt famous monsters and steal their gold! 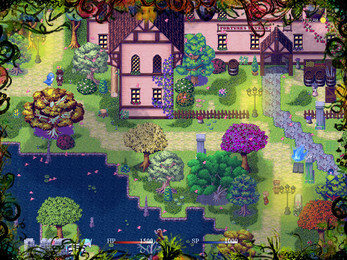 Harness the magic of Fortune's Tavern and cast punishing spells. Play a game in real time with dynamic events! An alignment system that lets you choose a side in the war sweeping the land. They can fall in love, and you can host their weddings. Legendary bards, pet breeders, and demi-gods will visit your tavern. Random events will occur depending on alignment and previous choices. Raiders from various factions will attempt to rob your tavern. Unused rooms can become haunted by malevolent spirits. Watch out for infestations from rats. Plus many more random events to keep you entertained. Raise and breed pets using genetimagic! Hatch eggs to find unique creatures that can fight by your side. 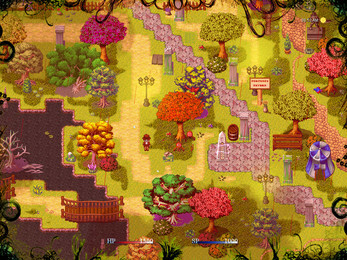 Merge their genetics with the magic of geneimages to create new creatures with a huge range of outcomes. Level your pets with genetimage stones. A non-compulsory storyline that will involve you with the highest powers in the lands. Get involved with a war sweeping across the lands. 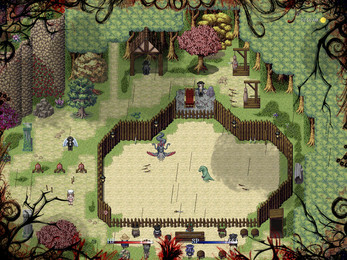 Visit the Lich Lord in her desert palace or the Elven King in the lush Northlands. Discover the lost, magical village of Greenleaf and help the mayor free her people to aid the Elven King or turn to the darkside and kill them all to create an army of undead for the Lich Lord. Discover the dark secret of Fortunes tavern through the many detailed books of lore scattered throughout the world, and choose what to do with the power within. Experience multiple endings depending on your actions.